Healthy Meals The Fast Way! Rice is one of those things that is so easy to mess up. It can be too sticky, too dry, too mushy, etc. But finally, I’ve gotten past all that and started making Perfect Rice in the Instant Pot. Every.Single.Time. 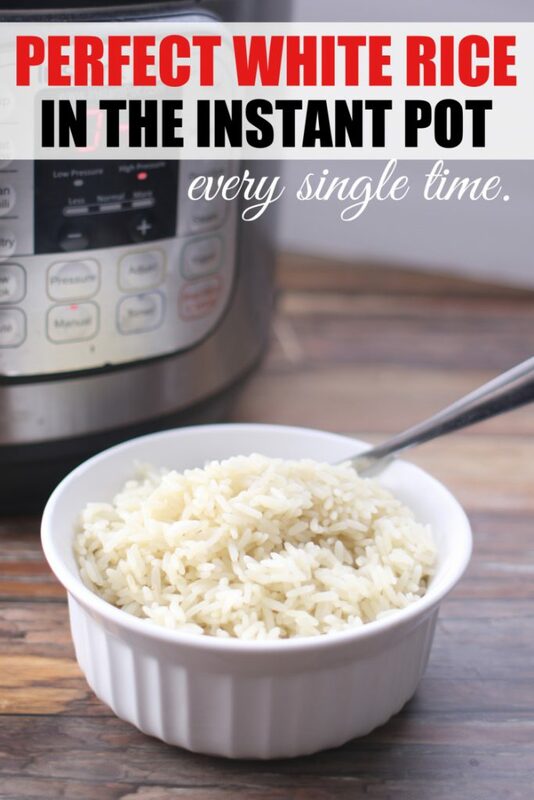 I love the reliability of making rice in my Instant Pot without having to stand over the stove. I am sure you’ll love this as well! 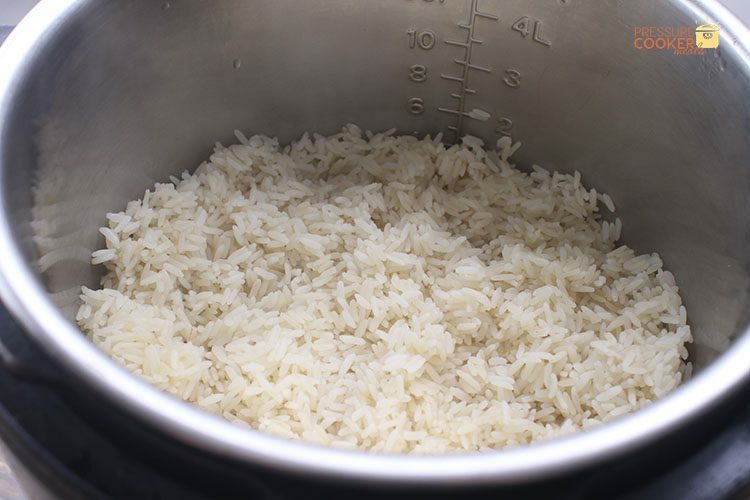 When I first got married… um 20+ years ago, the only way to make rice (that I knew of) was in a pot on the stovetop. And it was a huge pain in the you know what. Plus, I was the master of screwing it up. I’d overcook it and it’d be mushy. And I absolutely HATE mushy rice. Or I’d add to much water and it would boil over. Then there were those really fun times when I’d accidentally look away for a second and it would be scorched. The struggle was real. Fast foward a few years (or more) and I got an electric rice maker. I loved that thing. It simplified my rice making so much! It was a cheap cooker so I almost always still had hard rice on the bottom, but if I didn’t scrape the bottom, the rest of the rice was perfect every time. But I didn’t have to sit and watch it. And I didn’t have to worry about it being mushy or boiling over. I could dump the rice and water in, press a button and walk away. I loved that rice maker. As my kids got older, they would sometimes complain about washing the rice pot with the hard rice on the bottom. Yes, it was a pain. But they didn’t remember the stovetop rice days, so they had know idea how much easier life was with that rice maker. Even if it did mean they needed a little more elbow grease to wash the pot. Fast forward to a couple of years ago when I got my first Instant Pot. My first recipe was these black eyed peas and I was hooked. Not too long after that, I stumbled onto a blog post about making rice in the Instant Pot and I knew I had to try. Ya’ll. Finally. Rice Perfection. No hard crusty bottom and no mushy rice. 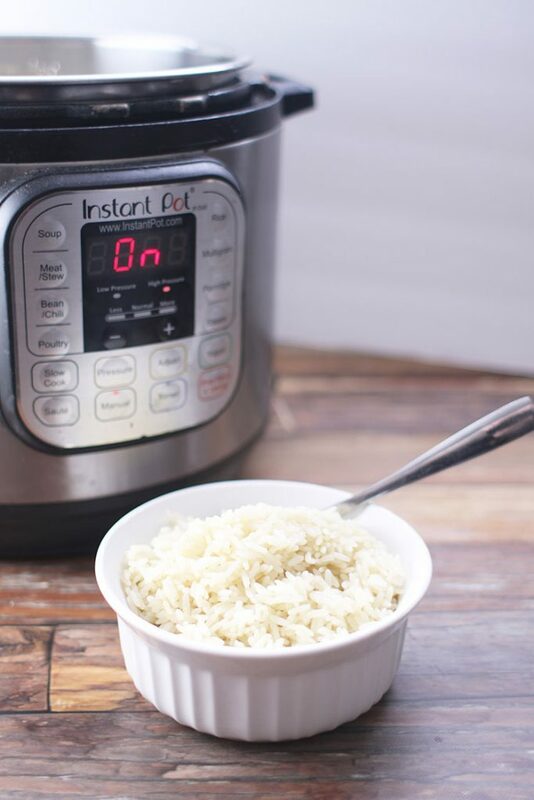 No boiling over… making Perfect Rice in the Instant Pot is a reality. Every single time. And it’s so stinking simple. Let me interject here – I’ve only done this with white rice and parboiled rice. There’s a recipe here for brown rice, but there ends my rice expertise. Are you ready for the ingredients? 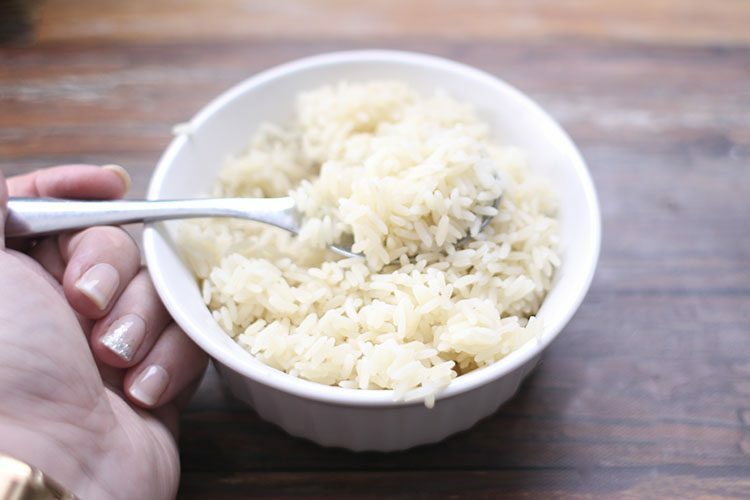 Easy peasy… equal parts rice and liquid. I’d say 99% of the time I use water, but broth also works beautifully if you want to add more flavor to your rice or use it in another recipe. You can also throw in some salt, other seasonings, or even a few pats of butter. Mmmmm. For us, I usually do 4 cups of water and 4 cups of rice. Of course most families aren’t as big as ours, so smaller amounts work great too! Okay – enough rice talk. If you need it (which you really don’t), I have the printable recipe down below for you! 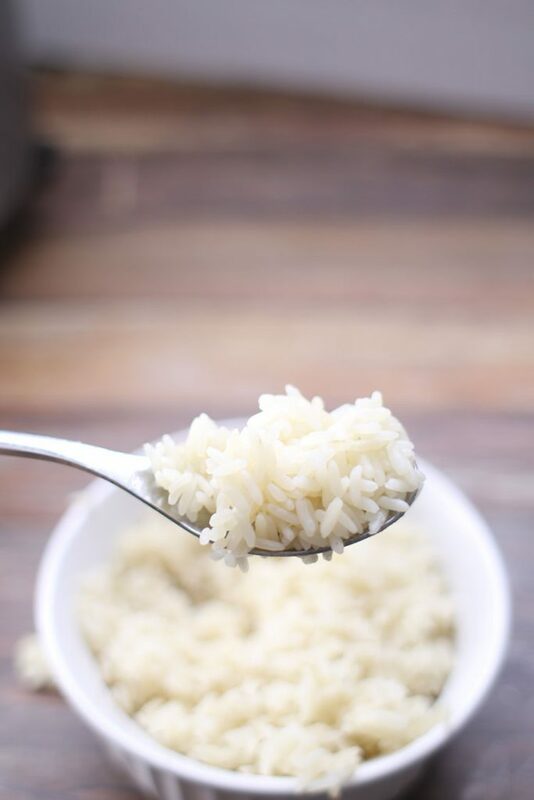 How To Make Perfect Rice in the Instant Pot every single time! No more mushy or overcooked rice. This is the easiest “recipe” around! 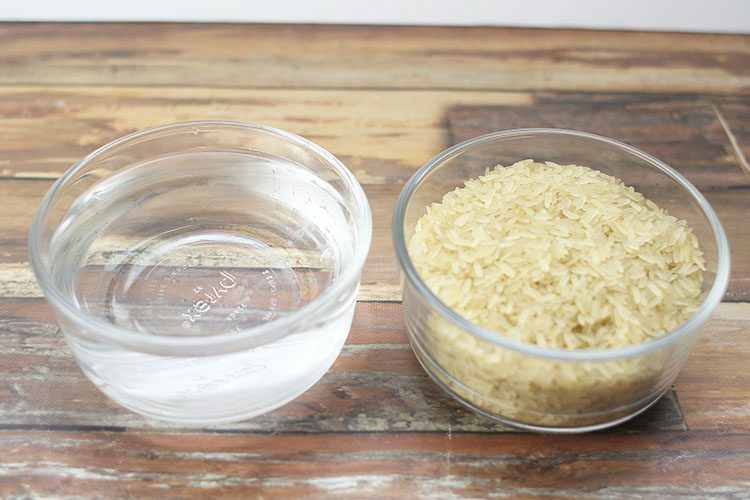 Pour the rice and water into Instant Pot and give it a stir. Lock the lid and set the vent to “Sealed”. Use “Rice” button or set to manual pressure for 12 minutes. After it beeps, let it depressurize using the natural pressure release or you can quick release after it sits for at least 10 minutes. 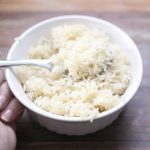 Fluff rice with a fork, serve and enjoy with your favorite dishes! *Total cook time includes time for the pot to pressurize. PressureCookerMeals.com is a property of Rose Bakes LLC, which is a participant in the Amazon Services LLC Associates Program, an affiliate advertising program designed to provide a means for sites to earn advertising fees by advertising and linking to Amazon.com.